Will brands continue to work with Sondos Alqattan after this outburst? It’s news that has gone global, from CNN and Buzzfeed in the US all the way to Manila. No, it’s not movement on the Middle East peace process, or an update on the fight against extremism. Instead, the headlines are being made by a social media star and her views on a specific nationality. 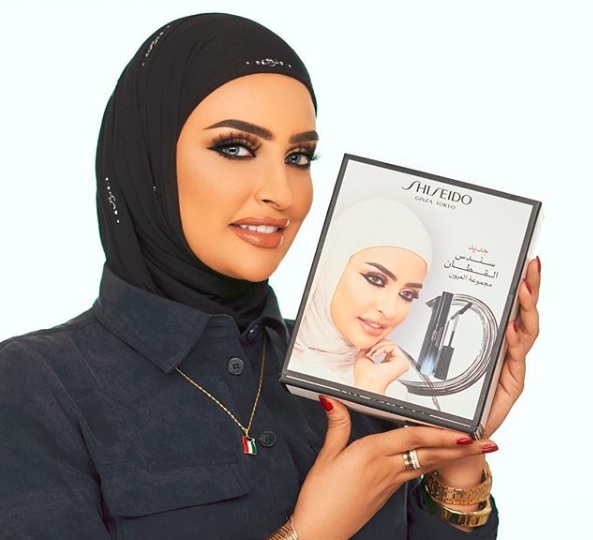 I’ve lost count of the number of articles and videos I’ve seen that have featured Sondos Al-Qattan, a Kuwaiti national and make-up tutorial social media star who has 2.3 million followers on Instagram. Sondos is one of the original social media stars; she’s worked numerous beauty brands, and she’s made significant money doing so. The condemnation was swift, both in the media and on social platforms despite the original clip being deleted. The video below is just one example of many of how she’s been criticized. What’s telling about the case isn’t just how to get yourself in trouble online. The Sondos incident is a wealth of lessons, for both communicators and social media influencers. There is no Local – Sondos may have thought that she was addressing a local, Kuwaiti audience (she was speaking in Arabic on a local Instagram account). However, there is no local online. Her comments were widely shared, and translated. Once they were translated, her views went global. Audience is Authority – If this was a Gulf national with a couple of hundred followers, it’d have been dismissed. With a following of over two million, this would have never been the case with Sondos. Social media influencers (and brands) must understand that people are hanging on your every word, both good and bad. Brands will make a Choice – With her words, Sondos offended a whole nationality, a population of over 100 million who spent over 1.28 billion dollars on imported makeup in 2015. Brands who work with Sondos, the likes of Phyto, Max Factor and others) will quickly decide if they want to put their sales in danger (they should have already put out statements by now, especially given the number of calls for boycotts on her YouTube pages). Brands who are looking to work with social media influencers are increasingly understanding the need to do safety checks; if an influencer has said something negative, brands will simply not work with them. Stop Digging – Sondos has done pretty much everything she can to nullify criticism. She’s turned off comments on her Instagram page, her Twitter account is private, and she’s not responded to any media queries. A new video has been posted tonight by Kuwaiti newspaper Al-Qabas in Arabic, where she basically repeats her initial messages and adds that she sees the media coverage as a good thing as it’ll make the Kuwaiti government take action on behalf of those who hire Filipino maids. Some people just don’t learn. This issue may go away in a couple of days – people have short attention spans. But in a world where there’s no concept of local, Sondos would have been best advised to listen to the criticism and apologize in English for her views. As it is, I don’t see how she can continue to work with global brands when she herself has become a toxic brand. A second post this week focusing on social media and the digital world. And, similarly to the STC story, this article is also about a crisis. However, the background to what happened with Lebanon’s Fransabank is different to that of the public backlash against STC and its alleged poor customer service. 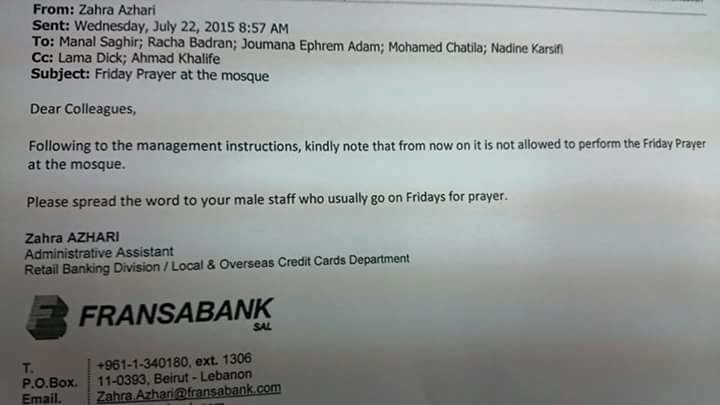 On the 22nd of July a picture began to circulate on social media channels of an email allegedly sent from an administration assistant banning male employees at Fransabank from going to Friday Prayers. A little context here for those who don’t know Lebanon. Unlike in the rest of the Middle East, Lebanon’s weekend is Saturday and Sunday and not Friday. For Muslims, the weekly communal prayer is held on a Friday at noon, and according to Lebanon’s constitution regarding freedom of religion all Muslim employees have the right to attend Friday prayers during their working day. The connotation behind the alleged email was that male Muslim employees were not returning back to work after their prayers. You can see a screenshot of the email below. As with many other religious issues in Lebanon, a country that is home to a complex mixture of religions and ethnicities, the email set off a storm of commentary on Facebook in particular. The issue reached back to Fransabank and their communications team acted to take control of the situation. On the same day they issued a statement, in the form of a letter in Arabic, reaffirming respect for all of their employees and their religious duties. In addition, the letter (which is a fairly long crisis statement), also noted that the email was not authorized to be sent by the Bank (which would imply that the email was sent by an actual employee). This was the first response from Fransabank on the email leak. All well and good you’d think, but it didn’t stop there. Unfortunately, the first statement was signed but no one knows by whom as there was no name underneath the signature. Secondly, the letter was printed on a plain piece of A4 rather than a Fransabank letterhead. Cue the second letter, which you can see below. There are obvious lessons here for all of us in communications. Firstly, get your internal communications right and make sure that your employees are aware of your values and your obligations. Legally, no employee should have shared an email regarding stopping their colleagues from performing their religious duties. From the perspective of values, would any Muslim employee want to work at an institution that doesn’t respect their right to pray on a Friday? While there were allegations of employees not returning to work after prayer, was such a response the right reaction? If values and compliance were communicated internally well and the issue of non-attendance handed in a different manner, maybe the email would never ever have been written, let alone leaked via social media. Secondly, the response. Kudos to the Fransabank team for responding promptly on the same day after becoming aware of the issue (one question I have is how did they come across the original email post). But was the response adequate? Was a letter the right way to do it, especially a letter with no name attached and which is not printed on the bank’s letterhead? Could the team have responded differently, through a video message from a senior executive or a briefer holding statement that goes to the core of the issue about respect for religion and respect for their employees’ right to pray on a Friday? The Fransabank story is another reminder that social media can bite you at any time. Every employee will have access to the internet, if not on their company computers, then through their mobile phones. Every employee will also have access to a camera, thanks to those same internet-enabled phones. Any content can be uploaded which can harm a person’s reputation. Was Fransabank ready for the crisis? And are you ready if something similar leaks online? What communications lessons can we learn from Arabtec’s leadership and stock crises? For those based in the Gulf and with an interest in communications, the last couple of weeks has been a remarkable story. We’ve watched as the region’s largest construction firm by market value has staggered from one crisis to the next. In less than two months, Arabtec lost over two-thirds of its value – the company’s stock price hit a peak of 7.4 Dirhams on May the 14th and fell to a nadir of 2.61 Dirhams on June the 30th – as well as its CEO and a number of high-profile executives. Where did it go wrong for a company that stated it wanted to be one of the top ten builders in the world? Undoubtedly, the company’s strategy of transforming from a contractor to a developer and of geographic and sector-based expansion hasn’t paid off during the reign of its previous CEO, the 37 year-old Jordanian Hasan Abdullah Ismaik, who looked to expand the company into the oil and gas and transportation sectors. Ismaik oversaw a US$40 billion dollar agreement with the Egyptian government to build homes in Egypt, and, in a strange move for a Gulf-based contractor, a regional sponsorship agreement with Abu Dhabi-owned Manchester City. Things began to go drastically awry when rumours spread that Arabtec’s largest shareholder, Abu Dhabi’s Aabar Investments, had reduced its stake in the company. At the same time, the CEO Ismaik had built his stake in the company from 8 per cent all the way up to 28.8 per cent. The story is best told by two reporters at The National, Frank Kane and Hadeel Al Sayegh. There are some obvious communications lessons to be learned from the Arabtec story, which I hope other companies in the Gulf region will study long and hard. 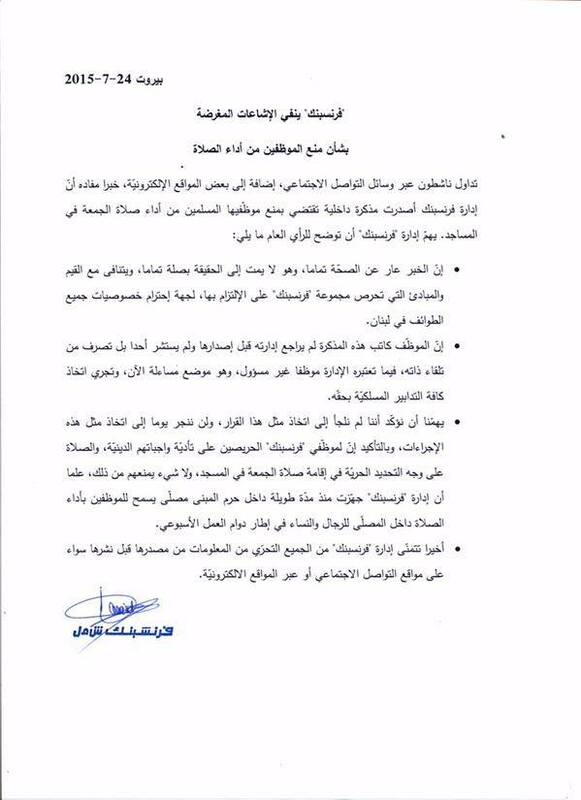 1) Communicate proactively, stop the rumours: Information on share ownerships seemed to have been leaked out to the market before any announcement by Arabtec itself. While Arabtec didn’t break any rules in terms of non-disclosure, the company could and should have taken a much more proactive stance to explain the share movements made by Aabar Investments, an Abu Dhabi government-owned investment vehicle, and the CEO himself. What was inexcusable was a lack of clarity following a “temporary system glitch” at the Dubai Financial Market, which erroneously reported a drop in Aabar’s stake in Arabtec from 18.85 percent to 14.32 percent. The rumours took over, and filled the void left by a lack of information and analysis. 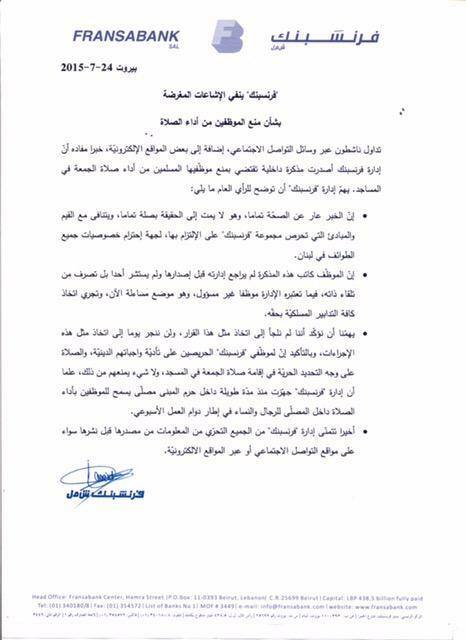 2) Use the right channels to communicate: As Arabtec’s share price dropped, the CEO announced he was quitting his role. With the stock still heading south, Ismaik announced his resignation. However, this wasn’t announced by the company through a statement to the media or to the stock exchange, but rather by an interview with a newspaper. Again, while Ismaik or Arabtec didn’t break any of the Dubai Financial Market’s rules (which must be reviewed after this sorry debacle), the fact that he announced it himself struck the wrong tone and sent out signals to investors that something was wrong. No information has been forthcoming on his own 28 percent stake in Arabtec, apart from he is willing to sell. 3) No matter the mess, get your story out there: As soon as Ismaik was out, so too were many of his executive management. The company’s head of mergers and acquisitions, Shohidul Ahad-Choudhury, was fired, as were hundreds of employees, including numerous managers. The only comments in the stories that followed were from analysts who were asking, quite rightly, what is going on. It would take eight days before Arabtec would respond to the media at a press conference. 4) Don’t lose your communications team: Whether you like their advice or not, your communications team are essential in a crisis. According to what I’ve been told, Arabtec lost both its head of communications as well as its agency during the past two months. Arabtec’s management should have moved to stem the rumours and controlled the narrative before taking any action re the communications setup, which I hope would have included a more active social media approach (Arabtec’s last tweet from its @ArabtecHolding account was in March). Reputations that take years to build can be destroyed in a matter of moments in today’s era of information. There’s little excuse for any listed company for not sharing information with shareholders, especially during a crisis. Arabtec has since recovered some of its share value, but the company still has a long way to go if it is to win back investors. Communications is vital to this process. Let’s hope that Arabtec’s new leadership are able to learn some lessons from the past two months, and proactively engage through a systematic communications approach, with strong narratives that lead nothing to the imagination of their investors. One week, two social media blunders in the United Arab Emirates. First we had Subaru Emirates and now we have Du, the UAE’s second largest telecommunications company, getting everyone into a tizzy. The background to the story, which has been covered by the UAE-based magazine Computer News Middle East, is an increase in charges for the company’s home user pricing plans. The price increases, which have risen by up to 37 percent, seem to have been posted on the company’s website rather than having being formally announced by the company. @danielmarcevans @MrTomPaye Yeah, exactly. Fine, we're all financially secure but that doesn't mean we want to be robbed. Unfortunately, for the people in the company running the Du account (Du handles social media internally I believe) things have gone from bad to worse. One reply has gone viral and is receiving a swathe of negative feedback on Du and its social media efforts. @WildeTrude Hey! if you don't want to continue with the services, you can cancel your account at one of our stores. I do feel for @Dutweets as they’re having to face the fallout from a pricing decision which has been poorly executed and hasn’t been communicated in the right manner – from a customer perspective there’s no justification for a price rise for the same service, especially when Du’s customers have no other provider and when their existing contracts should be honored for the contracts’ duration. However, if a company isn’t willing to resolve issues through social media then what’s the point of entering into a dialogue with the community? And no matter the frustration levels you can’t respond to customers in a manner that seems unsympathetic. So please, no more Hey! messages @dutweets. Understand the concerns, pass on the message to the executives and wait for a positive message from upstairs. Don’t do a Subaru, because you’re only going to make things much, much worse for yourselves. @RaychMOfficial another classic example of anti-social media marketing. @dutweets ridiculous! When it comes to many issues, be it driving or otherwise, religion, and long beards, the Kingdom has always made the headlines. However, Saudi Arabia has been in the news recently for what could be an emerging health pandemic. The disease, named the Coronavirus, was first discovered and identified in the summer of 2012. Since then at least 30 people have died in Saudi Arabia from the Coronavirus according to the World Health Organization as reported by Reuters on the 31 May. The country’s Ministry of Healthy has been criticized over a number of issues related to the Coronavirus. First up was the issue of firing the doctor who discovered the first case in the Kingdom and reported the virus (for the full story click on the link here for the piece on the UK’s The Guardian. However, recent criticism has focused on a lack of transparency when releasing information about the Coronavirus. An article yesterday published in the English-daily Arab News was particularly scathing (by Saudi standards). I’m linking the article here and will quote in full below. A specialist in infectious diseases said that withholding information by the Ministry of Health about the spread of the coronavirus following the deaths of the infected patients is significantly damaging and provides no benefit. The specialist spoke on the condition of anonymity. He said citizens and residents in Saudi Arabia have the right to accessible information about the disease. “I do not know why the Ministry of Health discreetly hid the information of the first case of Coronavirus in Saudi Arabia, and the infection got to Al-Ahsa region where the disease has appeared and is starting to spread. They bear the responsibility for this,” he said. The specialist suggested that the reality seems to be withheld from the domestic public opinion, and the public does not know if the ministry has detailed information about the spread of the virus and refuses to disclose it, or whether they have not reached any conclusion. He said the Ministry of Health looks at research centers in Saudi universities as competitors when the relationship with research centers at universities should be a complementary relationship, not competitive. He added that MoH indeed prefers to discover the scientific research on diseases via universities abroad rather than Saudi universities, although there are a number of Saudi universities that enjoy a huge potential and have reference laboratories recognized by the World Health Organization (WHO). However, the Ministry of Health refuses to cooperate with them because they perceive them as competitors in spite of their supportive work with the MoH, he said. He said preventive measures taken by the Ministry of Health lacks transparency, with no announcement about where the spread of infection started and whether it originated in Al-Ahsa or came from abroad. He also noted that ministry did not give any scientific information or details about the reasons for the spread of the virus. Today, he said, there are more than 30 cases, but there is no clear information about the source of the disease and we do not know the results of the investigations. What’s prominent here is that the article is a translation of a piece from Al-Eqtisadiah newspaper. Both papers are owned by the Saudi Royal family and the fact that these opinions are now running in the local press doesn’t bode well for the Ministry of Health. There’s no name associated with the ‘specialist’ and no invitation to respond by the Ministry. There’s a significant lack of information about the Coronavirus, and when there’s a lack of awareness about a public issue such as a suspected epidemic people will seek information from other sources, most especially social media. However, if a public body reveals too much information they will be open to criticism that they are creating an unnecessary panic. There’s an interesting take on this issue by one public health blog, the Avian Flu Diary, that I’m going to quote below (do read the article in full if you have time). We may simply be seeing a public relations backfire created as a direct, and 100% foreseeable, consequence of an overly secretive Saudi risk communications policy. If there’s one thing you can count on in a crisis, it’s that rumors and speculation will rush in to fill any information void. The other possibility is that this outbreak is somehow substantially worse than we are being told. But if that’s true, it seems unlikely that they could keep it hidden for very long. Which puts us in a watchful waiting mode, looking for any indication – one way or the other – of how this outbreak is playing out. It’s hard to see how this case has brought to light any positives for any of the parties involved. However, if there’s anything to be learned my hope is that the Ministry hires a public affairs agency that is specialized in such crisis communications, as this issue has the capacity to become much bigger and at a pace that few communications people would be able to handle. Remember SARS anyone? Surprisingly, Red Bull has not hit the headlines for what appears to be a number of major events in Kuwait. The company, best known worldwide for popularizing the energy drink concept, has apparently been embroiled in a crisis in Kuwait after a young Kuwaiti passed away after drinking too many cans of Red Bull. I’m going to continually use the word apparently as there’s no information out there in English and the only information in Arabic can be found on chat rooms. According to Kuwait’s social media scene the Kuwaiti Ministry of Commerce has of the end of March banned all sales of Red Bull to those under 16 years of age. The below are a news piece from Kuwait’s news agency Kuna and an image shared over twitter of a Red Bull fridge with a sign in Arabic saying that Red Bull is not for sale to those under 16 years of age. Here is the same info on a discussion forum. Kuwait’s Twitter community has also been focusing on the news, but surprisingly the topic hasn’t been trending outside of the country. Whether this is all true or not, as it always the case with the internet the story is spreading especially in Arabic. The news can now be found on sites across the Gulf in Arabic. The fear may be that other GCC countries will follow Kuwait’s lead (such an action wouldn’t be unusual). However, it’d be fascinating to know what Red Bull has done to tackle this issue. There have been suggestions that Red Bull has upped its ad spending to tackle the issue, and that may explain why there’s little news of this in Kuwait’s vibrant media scene. However, Red Bull has avoided the spotlight before. If you do read Arabic have a look at this piece on Red Bull apparently employing women to hand out cans in Riyadh back in December. Some would say brave, others would say silly. Now you see her, now you don’t. 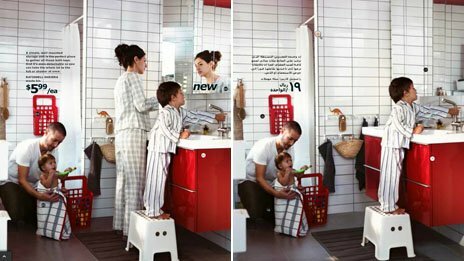 Ikea’s Saudi franchise forgot about the half of the population that makes (most of) the decisions about what goes in the house. Ikea has been in the news of late for all of the wrong reasons. If you haven’t seen, read, heard or been told about the ‘incident’, then read the below from NBC’s website. Scrubbing the bathroom got a whole new meaning in the Saudi Arabian Ikea catalog. The Swedish home and furnishings retailer faced criticism after reports surfaced that Ikea digitally erased women from pictures in the Saudi version of the catalog. In one picture of a family in a bathroom, the mother standing at the sink with her son was removed. Even one of the retailer’s own designers, Clara Gausch, was erased from a photo featuring four of the brand’s designers. Sweden’s trade minister Ewa Björling told the newspaper Metro the vanishing women were a “sad example” of gender inequality in Saudi Arabia, where women aren’t allowed to drive and must be covered in public. While every media outlet around is poking fun at the Swedish furniture icon (and Swedes take their human rights and equality issues very, very seriously), the question I’d ask Ikea’s Saudi franchise is who do you think is buying your furniture? I’ve rarely seen any man in Ikea either in Riyadh or Jeddah deciding on what will go in the house. So, how is getting rid of women in the catalogue going to help shift furniture? How does ignoring your target audience and not promoting your brand values with half of the population, the half that (mainly) look after domestic matters. So again, what was Saudi’s Ikea franchise thinking? Forget the women, let’s keep the conservatives happy. And yes, you can find women’s pictures being published in Saudi Arabia so why did the franchise take the risk?